Through this section of the SSAS tutorial you will learn about the key features of SSAS, advantages of SSAS, recommended audience to learn SSAS, its prerequisites and so on. This free SSAS tutorial is an introduction to SQL Server Analysis Services and is meant for beginners.It includes the SSAS use cases and practical applications. SSAS is an analytical processing engine in Business Intelligence,This tutorial includes creating cubes from data marts, working with dimensions which are master tables for data analysis, exploring data in data warehouse, data modeling, etc. Acronym for SQL Server Analysis Services, SSAS is a revered BI tool for developing Online Analytical Processing (OLAP) solutions. In more technical terms, it enables users and analysts to create cubes by extracting data from data marts or data warehouses, thereby ensuring profound and swifter analysis. Get the SSAS online training for improving your chances of getting hired by top companies. Offering multidimensional analysis with powerful data mining capabilities, SSAS involves efficient configuration of schemas in Business Intelligence Development. The demand for SSAS or MDX professionals is increasing among leading IT organizations. Companies are hiring expert OLAP Cube Developers at excellent salaries in the market. Accessible anytime and anywhere through internet. Intellipaat has designed this SSAS tutorial to cater the learning needs of large audience worldwide and help you step ahead in your BI career. It includes expansive description of SSAS features and components, allowing you to implement them on your projects and deliver best OLAP (Online Analytical Processing) solutions. Check this riveting Intellipaat blog that talks about the top advantages of MSBI of which SSAS is a part. In the first place, the tutorial provides an introduction to MDX (Multidimensional) Query language to help you retrieve data from multidimensional databases. Focused on providing an interactive learning environment, we have imbued loads of examples in this section so that you can understand the basics better and faster and permanently commit them to your memory. 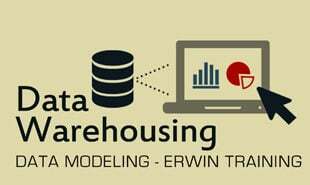 The next segment of this tutorial aims at explaining Data Sources and Data Source Views working with data. It also explains OLE DB data Providers and how to design Data Source Views (DSV) through a step-by-step process. You will also see a detailed description of Data Views – an important section of SSAs. It further includes working with MDX Queries and understanding Cube specifications. Become SSAS Certified in 8 hrs. 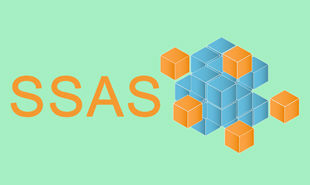 "1 Responses on SSAS Tutorial – Learn SASS Programming from Experts"
Awesome material!!!! Good for beginners. 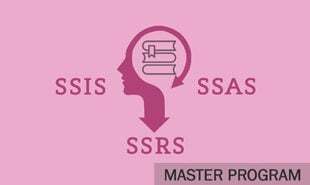 Basic Understanding of SSAS. Sign Up or Login to view the Free SSAS Tutorial – Learn SASS Programming from Experts.